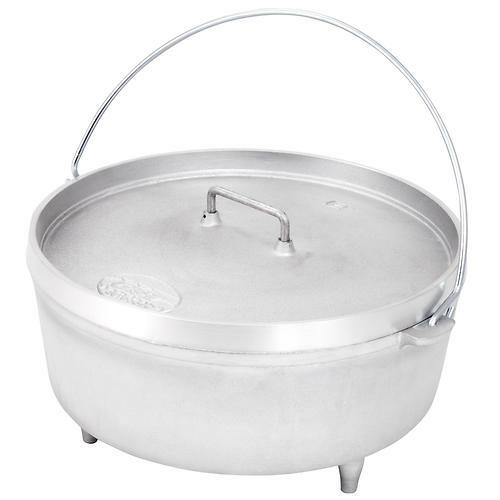 Visit GSI Outdoors's 12" Aluminum Dutch Oven page. 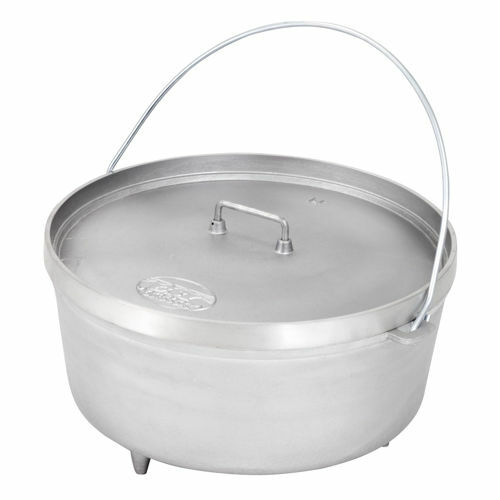 The 5 quart GSI 12" Aluminum Dutch Oven weighs one-third less than a traditional cast iron oven plus is rust-proof. Lightweight, easy to clean, it doesn't get much better than this. Highly-conductive aluminum construction for excellent heat distribution, durability and performance. Cast aluminum is rust free, easy to clean and weighs 66% less than cast iron. The edge lip on the lid holds coals and charcoal. 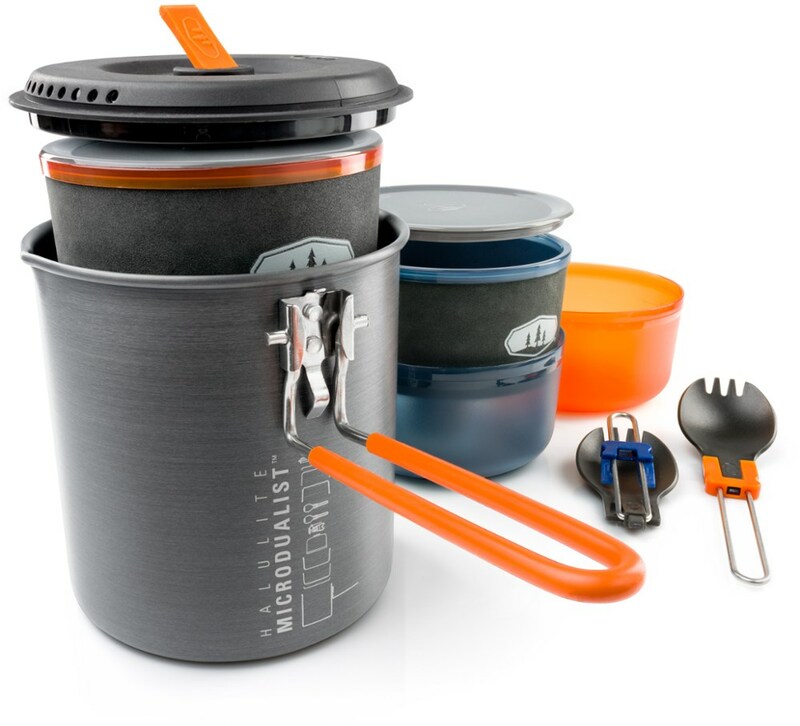 A sturdy aluminum handle makes it easy to move the DO from coals to serving area. The three legs on the bottom give solid footing over coals and allow you to stack your DO's. 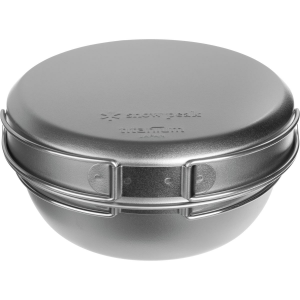 The 10" model has a smooth bottom and nests nicely inside the 12" or 14" dutch oven for compact storage. The Aluminum 12 in. 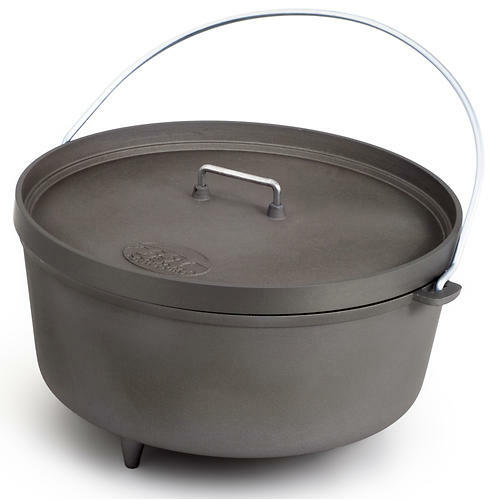 Dutch Oven from GSI is perfect for stewing, boiling, steaming, baking, roasting & frying. Bring it along. You'll be glad you did. 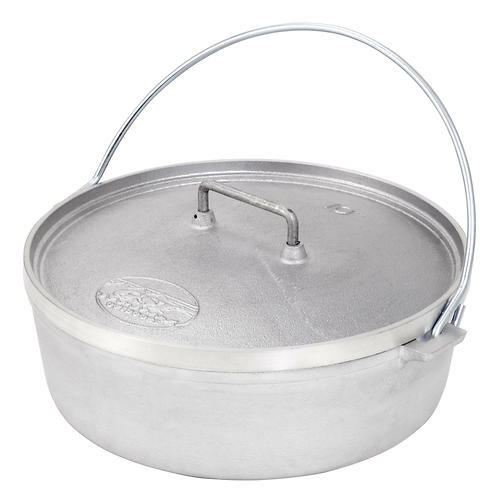 Features:Perfect for stewing, boiling, steaming, baking, roasting & frying.Transmits heat quickly and evenly for less cooking time.One third the weight of cast-iron.Will not rust.Easy to clean.Tight fitting lid.Loop Bail Handle.Size: 12 in. diameter, 5.5 in. deep.Weight: 6 lbs. 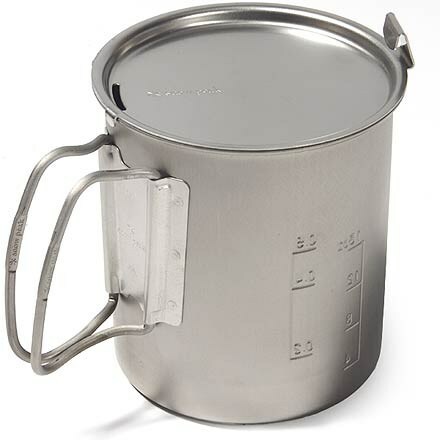 9.7 oz.Capacity: 5 qt.